Well, I realised I hadn’t worn stripes in a while so thought it was only appropriate to bring them back. 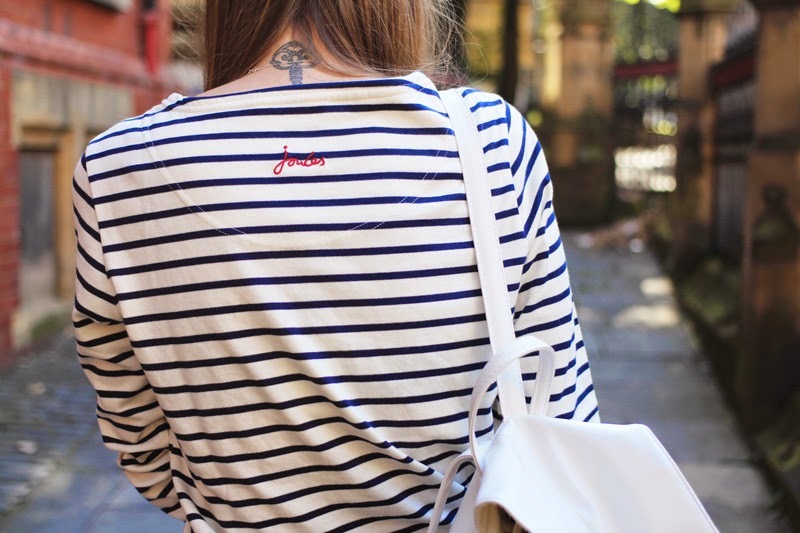 I am quite partial to this Joules top, as it’s somewhere between a top and a jumper so is perfect for Autumn. 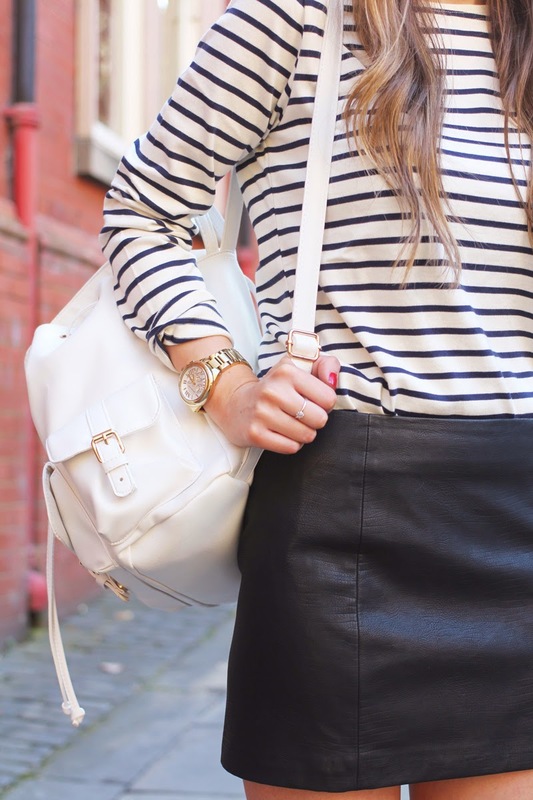 The simple combo of a stripe top and leather skirt is one I’ve loved and worn for such a long time, I honestly don’t think you can go wrong with it! The additional heels are only a bonus and these Daniel ones are so good. Seriously. I have never experienced such a comfy pair of heels! I’ve got a lotta love for Daniel, as they make some beautiful shoes and I’ve definitely got my eye on these ones, perfect AW boots, right? Anyway, how has your week been? I’ve done a fair bit of admin, though am so behind on my outfit posts so need to step that up next week. I went to a Lush event in Newcastle, as they had a shop refit, and the new look is so nice! After, I went to another event and almost bought an Isabel Marant coat as it was so nice but talked myself out of it because I totally couldn’t justify spending the cash (plus they didn’t have my size – good job, right?). I keep thinking about it though… This weekend I’m seeing the bf and organising blog stuff for next week, there’s so much I need to show you guys! Have a lovely weekend.